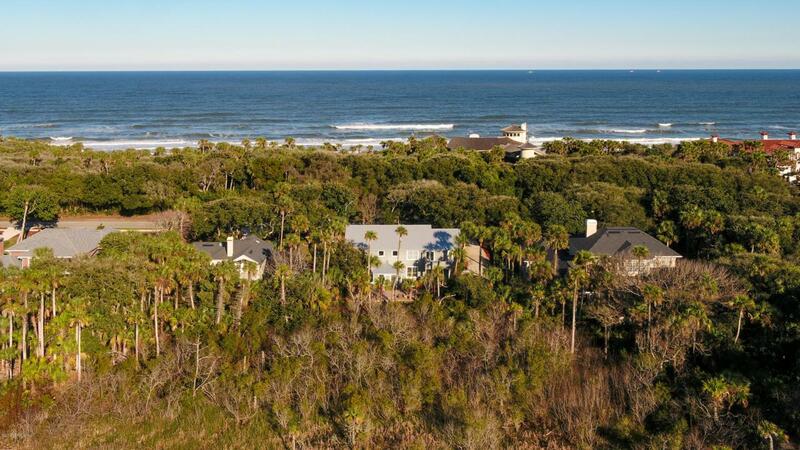 The creme de la creme of Ponte Vedra Beach living! Take a stroll on the beach every morning or simply sip coffee in a rocking chair on the front porch and watch the sun peek through the palm trees and feel the cool ocean breeze. 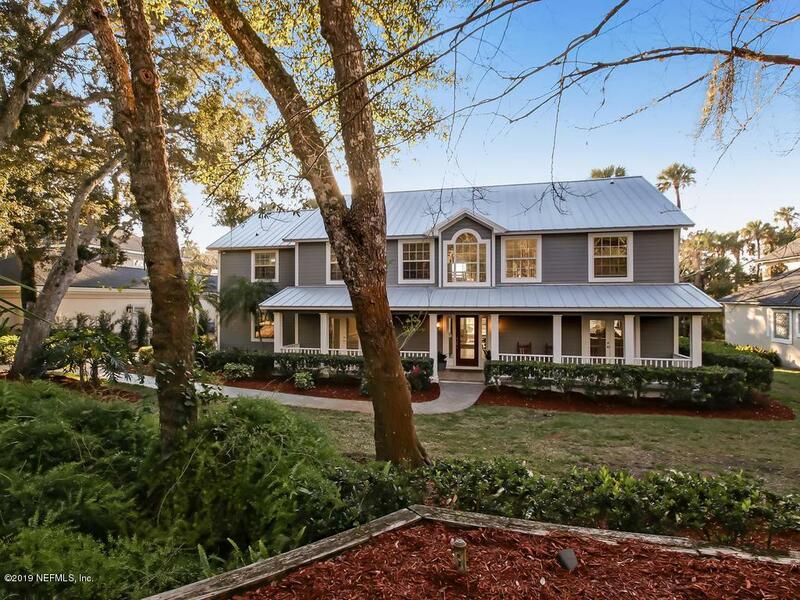 Tucked back behind a lush tropical canopy this unique home boasts classic charm and many upgrades! Located on Ponte Vedra Boulevard a premier location in Ponte Vedra Beach just down from the Inn & Club, Ponte Vedra Spa, exclusive shopping and restaurants galore. 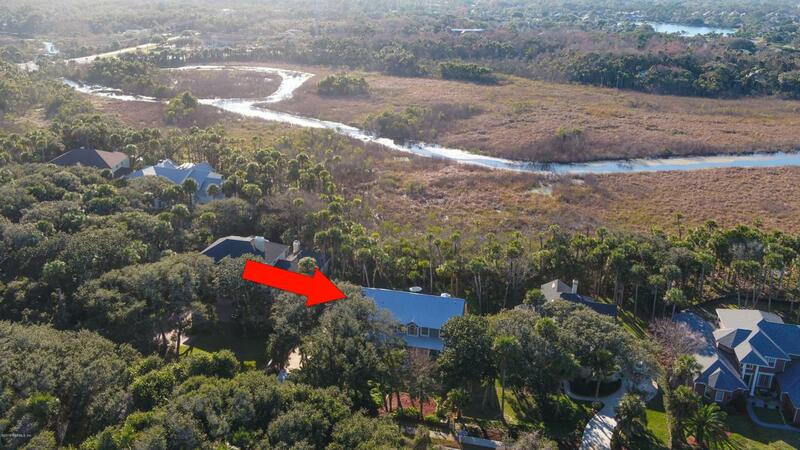 Beach access a stone's throw from your front door and A1A just around the corner for easy access to town. The moment you enter the two story foyer and see beyond the family room to the sunporch and backyard you immediately feel like you're on vacation. Soaring ceilings and soothing colors add to theelegance this home offers. A large living room centered by a gas fireplace is accompanied by a wet bar perfect for entreating friends and family. Host a fabulous summer gathering outside on the deck and paver lanai, and grill to your hearts content with a gourmet summer kitchen. The kitchen has newer stainless steel appliances, granite countertops and a huge dining room! Upstairs the master suite awaits with beautiful views of the Guana Preserve and marsh from a balcony draped with string lighting. A recently remodeled ensuite with beautiful finishes, hand-cut travertine, a soaking tub and huge walk-in shower plus a custom closet! Three additional bedrooms and a renovated guest bathroom provides plenty of space for guests. There is also a loft upstairs perfect for office space or a reading nook. Parking is no issue here! A spacious and very organized two car garage and extended driveway can accommodate your parking needs and beyond. 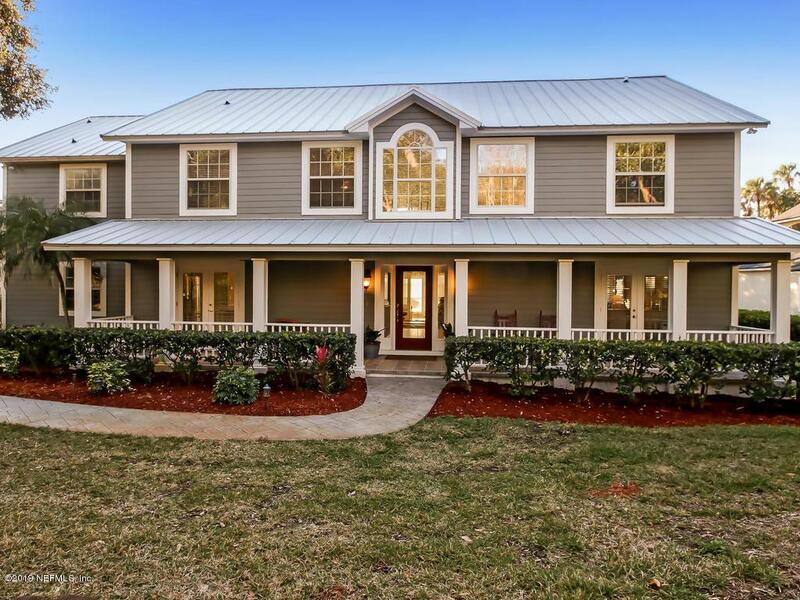 Enjoy this move-in ready home with a newer metal roof and brand new water heaters! Live the Ponte Vedra Beach lifestyle and all the luxuries and conveniences offered here!